Hi all! So I have not posted in a couple of weeks because I've been busy traveling and brainstorming. I have a lot of ideas for my upcoming posts this summer and I'm really excited! I recently have been thinking about how you can find pretty decent cosmetics without spending a fortune. Mind you, I have not tried EVERY drugstore product, unfortunately, but I have tried a lot! These are just a few of my picks that have really stood out to me in the past couple of years. I'm a big fan of makeup wipes because they are just an easy way to remove makeup and reduces the amount of time washing my face. I have tried many different makeup wipes and so far these wipes are my favorite because they don't irritate my skin. I think everyone should use makeup wipes for sensitive skin because it's important to not strip the skin because cleansing. Although I don't think makeup wipes should EVER take the place of washing your face at the end of the day, but these wipes gave my face a nice clean, refreshed feeling. 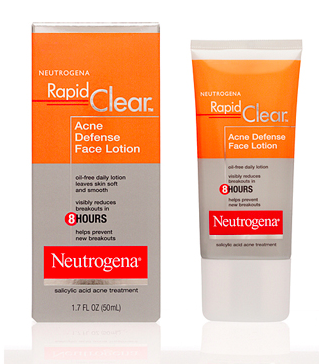 Growing up, I have always struggled with breakouts and I have tried many acne products. So far, at the drugstore I think this cleanser is the best one. The wash is a gel and foams up when you wash your face. It treats the acne without over drying and leaves your face feeling revitalized thanks to the grapefruit extract. The vitamin C also brightens the skin. If you have dry, normal, or combination skin I would stay away from this cleanser. People who did not have oily and acne prone skin found this cleanser over drying. If you have combination/oily skin and you struggle with enlarged pores- this product is for you. 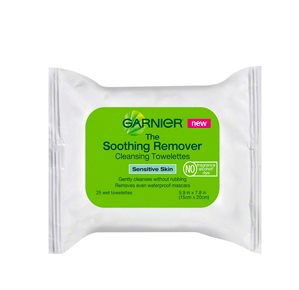 After using this toner, my skin felt noticeably smoother and my pores looked smaller. If you have dry or normal skin I would not recommend this product, it could be over drying. This toner has Alpha and Beta Hydroxy Acids so it helps exfoliate the skin, making you more susceptible to sun burn. While using this product you must wear sunscreen to avoid damaging your skin. Oh my goodness this product is AMAZING for oily/acne prone skin. In the past, I could never find a the right facial moisturizer at the drugstore. They were always too over drying or simply not drying enough. This lotion is perfect because it's super light weight, clears blemishes, calms redness, and smooths the skin without it feeling greasy or over drying like most acne products are. The major con to this product is it's SO hard to fine. For a long time I thought it was discontinued because none of the drugstores I visited carried it. You can order this lotion online if your drugstores do not carry it. 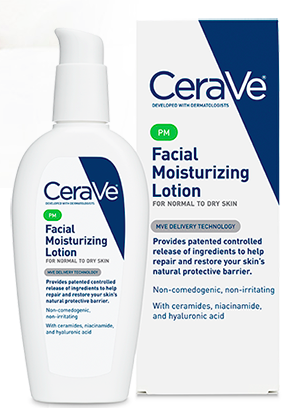 I do not recommend for normal, dry, combination, or sensitive skin. I highly recommend for oily and acne prone skin types. I recently made a dermatologist visit after many years of becoming fed up not only with my breakouts, but post acne scars. My dermatologist instructed me to not use a moisturizer in the morning, but use this face lotion at night to avoid dehydration of my skin. Besides my face foaming wash and antibiotic creams, this product has improved my skin. This product contains ceramides and hyaluronic acid, which are important in forming the protective layer of your skin. After using this product, my skin feels "baby soft". The product says it's for normal to dry skin, but I truly believe this lotion is suitable for every skin type. 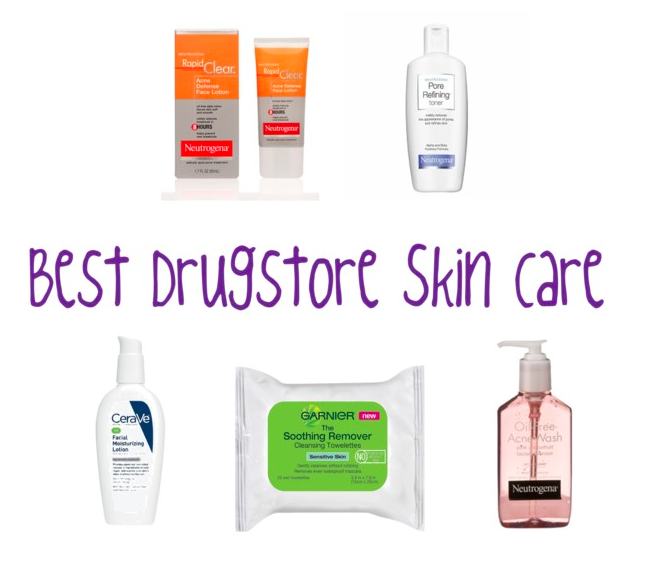 What is YOUR favorite drugstore skin care product? I wanna hear from you! Comment, tweet, facebook, or email me. These are all my favorite skin care products I have experimented with so far, I hope you enjoy them. Many upcoming posts this summer like best makeup drugstore products, Self Tanning Tips/Reviews, Quick Tips, and so much more!